We are only a few days away from Christmas and over the past few days I have been panicking about what I can buy Ben. I often buy 3 or 4 presents for him so he has several things to open on Christmas morning. This year I had not been very well prepared when it came to buying him his usual amount of presents so today I hit town and found him the perfect gift that would be well suited to him. Ben is a car lover and takes great pride in his car. He loves cleaning his car and tinkering with it often. For one of his presents this year, I decided it would be fantastic to buy him a Simoniz Car Cleaning Collection Set. 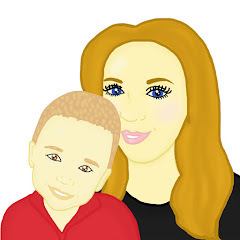 I felt the set would be a brilliant gift idea for him as it was an inexpensive set however I felt it was a good quality set which I was buying which would come in handy throughout the year. The Simoniz set prides itself for brilliant cleaning and protection, particularly of the tough areas. 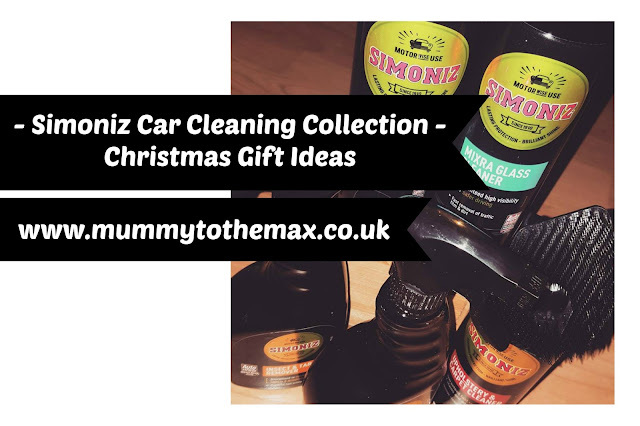 The Simoniz Car Cleaning Collection provides everything you need. Perfect for both interior and exterior, the selection of award winning products remove tough stains and help your wheels and windows to shine. Perfect as a gift or as a car care starter kit. Simoniz Insect & Tar Remover 500ml - Guaranteed to remove insect, dirt & droppings, this cleaner is powerful and has a fast acting formula. Simoniz Ultracare Alloy Cleaner 500ml - Guaranteed not to corrode wheels, this cleaner has a fast powerful acting formula. Simoniz Upholstery & Carpet Cleaner 400ml - Guaranteed fast removal of stains and odours, this cleaner has a intensive cleaning formula. Simoniz Back to Black Tyre Shine 500ml - Guaranteed to restore, protect & shine tyres, this product has a durable gloss finish. Simoniz Mixra Glass Cleaner 500ml - Guaranteed high visibility for safer driving, fast removal of traffic film & dirt. I know that this set will provide everything that Ben needs to make his car look shiny, loved and clean. Priced at just £15 this set is an affordable last minute gift for any car lover this Christmas. With 5 products included in this set, each product works out to be just £3 which is fantastic value for money.